I Wanna Go To Boracay!! However, despite the beauty of the place, I am secretly wishing that we could have gone to (one of the greatest beach in the Philippines) Boracay instead. My friends just recently went there but Paolo and I decided to keep spending to a minimum so we chose to go to nearby beaches. I got this wedges on the way to Batangas at the Coleslaw booth at a stopover. I was surprised that they sold this for only P195! 3 Days 2 Nights Boracay Trip (with hotel accommodation, Airport-Hotel-Airport land transfers, breakfast, and Roundtrip Airfare for two) are up for grabs and in case we did not win, there are 20 consolation prizes of Php1,500 Slimmers World GC. Not only the outfit is beach ready, also your body is also built to be displayed in the beach. You look so relaxed in these photos. ang cute mo Rovie, nice ng sand there ha in fairness : love your coverups too :) and the hat ... hope you win the Boracay trip! I usually don't go to Boracay during summer because of the crowd and mossy shore. We always go during November. 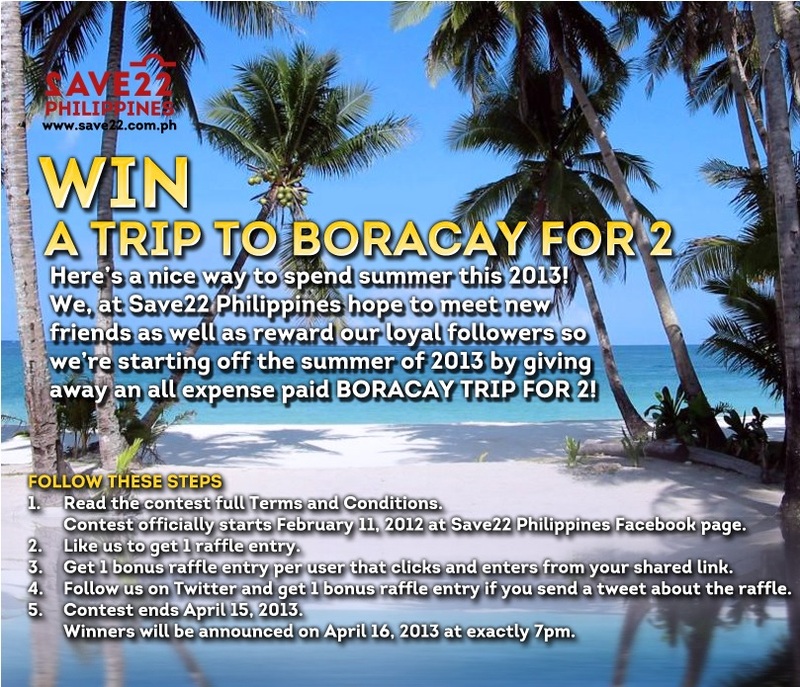 Winning a free trip to Boracay is a good thing! I also would want to win a free trip to one of the best beaches not only in the Philippines but also the world. That's a nice prize! Goodluck to you I hope you win and share more of your photos while on the beach! You're always welcome here in Boracay.